How to get started with the LMT mobile Internet on my phone? It is very easy to start using mobile Internet on your phone – you just need a phone that supports mobile Internet and our Internet on Phone service. If you would like to find out if your phone supports mobile Internet, please review its instructions for use. The easiest way to find out if you have signed up to the Internet on Phone is to ask My LMT. To surf the Internet, the parameters of our mobile Internet should be set in your phone. Most phones do not require any setting of parameters or configuration to use our mobile Internet – it is done by the manufacturer or when a SIM card is inserted in the phone. But there are also older phone models that should be set manually. How to set parameters for the LMT mobile Internet and MMS in my phone? To set the parameters of LMT mobile Internet in your phone, please text PG to 1688. When you receive the parameters, save them. 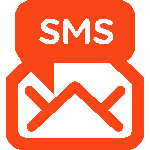 To set LMT MMS parameters in your phone, please text MMSP to 1688. When you receive MMS parameters, save them. If you receive a message that your phone does not support text messages with parameters, you will have to set them yourself. Parameters should be set only once – the telephone will “remember” them. What are the parameters of LMT mobile Internet and MMS? Here you can find the parameters for our mobile Internet and MMS that should be set in your phone. Usually, it can be done in the Settings menu. To avoid any problems during this process, please check the phone’s instructions for use. 1. Visit an app store that offers apps for your OS. Android Market, if your phone supports Android OS. Windows Phone Marketplace,if your phone supports Windows Phone OS. 2. Search for an app by its name or a keyword. 3. When you have found an app, download it. App stores offer free and paid apps. The price can be found in the details of each app. How much of my data allowance is consumed, when I download apps? It depends on the complexity, functionality, resolution of the integrated graphics and other factors. App Store and Android Market provide information about the size of apps in their details. Before you download any apps, please check how much data will be consumed. What is the difference between Internet and mobile pages? Mobile pages are Internet sites that are modified for use in mobile phones. They are user friendly and contain all the information you might need. Internet on phone can be used to open any mobile pages – you do not have to download them, just enter the address. Mobile pages consume much less data than regular Internet sites. What is Wi-Fi and how to use it? Wi-Fi is a technology that enables wireless Internet in a specific place, e.g. an apartment, an office, a cafe, etc. A router is used in this relatively small area to enable Wi-Fi functionality. Wi-Fi router is a device that transforms wired Internet into a wireless Internet network. Generally, all modern smartphones, computers and tablets support the Wi-Fi technology, and these devices can be used to connect to a Wi-Fi router and use the wireless network. To do that, you have to choose the name of a Wi-Fi network in the network menu of your smartphone, computer or tablet and enter a password, if it is required. But the easiest way to use wireless Internet on you smartphone, computer or tablet is via the LMT Mobile Internet. It is available wherever the LMT has coverage in Latvia – not in a limited area like the Wi-Fi. You do not have to worry, either, where to find the closest Wi-Fi network and what the password is. What is the difference between streaming and downloading of videos? Downloading of videos means that video files are downloaded and saved in the memory of your mobile phone or computer. When a video is downloaded it can be played many times. Streaming allows to watch videos online without saving them in your phone. What should I do to be able to use e-mail on my phone? To send and receive e-mails on your phone, make sure that your phone is connected to the Internet on phone. E-mail services should function in all telephones that support Internet connections. To access your e-mail, you have two choices. 1. Use the e-mail app installed in your phone. To use the e-mail you have to install it in your phone. If you use one of the most popular e-mail services (e.g. Gmail, Yahoo, etc. ), you will have to enter just your e-mail address and password. In case of other services you will also have to enter other parameters, e.g. a server address. These parameters are available on the homepage of the respective e-mail service. 2. Check your e-mail in the homepage of the service provider – open a browser, enter the Internet address of your e-mail service (e.g., gmail.com or inbox.lv, etc. ), and log in with your username and password. Internet traffic is the flow of data generated by all of your activities online – opening of Internet and mobile pages, e-mail correspondence, downloading of e-mail attachments and other files, streaming of online radio and TV, watching of YouTube videos, updating of telephone software, downloading of games and apps, etc. How to calculate the Internet traffic? To help estimate the Internet traffic, we have prepared a “cheat sheet”. How many MB are consumed to check e-mails? If the respective e-mail message contains only text, the data traffic will not exceed 0.1 MB. The consumption of data will increase, when you open and send e-mails with attachments – pictures, documents, etc. How much Internet traffic is generated by Mobile TV? It depends on how long you watch and what phone you use. This table will help to understand it better. How is Internet traffic measured? Remember, that Internet speed is calculated in bits, but traffic in bytes. How can I use the Internet on my phone? Internet on a phone makes your life more comfortable – you can do everything and even more than you could at your computer – anywhere! We have listed just some of the most popular activities that you can enjoy if you have the Internet on phone. Keep up-to-date with the latest news in various portals (Delfi, Apollo, TVNET, etc.) or newspapers (Diena, Ir, etc.). Post, comment on and enjoy photo galleries. Buy goods and services on ad portals (ss.lv, etc.) or group buying sites (perkamkopa.lv, etc.). Enjoy iKino, YouTube, games, online radio, and Mobile TV. Hook up with friends on Twitter, Facebook, Draugiem, etc. Be well informed about the weather with Windguru, AccuWeather, etc. Navigate the traffic with Waze, TransRiga, BalticTaxi. Receive and send e-mails (Gmail, Inbox, etc.). Access your online bank (Swedbank, SEB, Nordea, DNB). Travel with BalticMaps, LatviaTravel, Booking, SkyScanner, LonelyPlanet, Tilde, Google Translate, etc. Pay for various services, e.g. parking (Mobilly). And there is much more! Use other useful and clever tools to make your life easier, e.g. a QR code reader, a torch, an insect repellent and many others! Internet Protocol version – is a technological solution how the operator ensures internet access to its customers. IPv6 is the latest and most advanced internet protocol version that will open new opportunities in the nearest future in respect of 5G. The main benefit of the new internet protocol is the high number of unique addresses available, as well as various safety and fast activity factors. As currently not all website addresses support IPv6, in LMT network we ensure the functioning of both protocols. If you have an Apple device, switching between both protocol versions will occur automatically, whereas in Android devices the settings must be changed. If you have an Android device and you select IPv6 in the settings, there may be no internet connection in the networks of foreign operators that do not support this protocol. In this case, change the settings by selecting IPv4/IPv6.